TIS’ THE SEASON FOR SOME GOOD OL’ FURRY FUN! 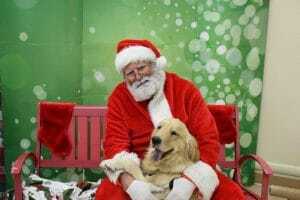 COME GET YOUR PET’S PICTURE TAKEN WITH SANTA AT COAL MINE AVE BREWING COMPANY. PLEASE SUPPORT PET ADOPTION AND HELP MAKE A DIFFERENCE IN THE LIFE OF A HOMELESS PET THIS HOLIDAY SEASON.